Broly, since his inception, has been wildly regarded as one of the best characters in the franchise. Since his debut in Broly: The Legendary Super Saiyan. he has Appeared in almost every single video game. But is Broly overrated? let us discuss some factors on why is Broly overrated. 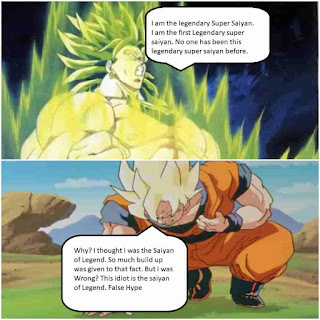 The concept of Broly was to be the real Legendary Super Saiyan. The problem, however, was that Goku reaching Super Saiyan on Namek was the moment that originally was to be the completion of the legend of the Super Saiyan. But in the movie, Broly had special treant and seemingly became the legendary Super Saiyan. This completely downplayed the whole aspect of What had happened on Namek. As Goku was no longer the Ultimate Saiyan, He was just a Saiyan who could go Blond. Broly being the Saiyan of Legend, even if it was in a non-canon movie, did damage the overall narrative of the series. An origin story can make or break a character. If handled correctly, a not so special character can feel important. If not handled correctly, then even a well-loved character can become a joke. For example Hit. He has a hidden past. Making him a Badass Character that quickly went on to become one of the biggest fan favorites. Broly was a Villain in the 7th Dragon Ball Z movie, Broly: The Legendary Super Saiyan. 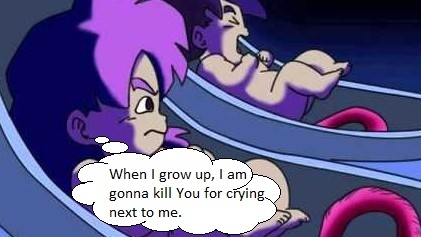 His origin is that "Goku's crying was loud and it made Broly sad. So after a few decades when he finally saw Goku, he became angry and went LSSJ to kill him." Let that sink in. The "True" Legendary Super Saiyan only wants to destroy Goku because he cried as a baby. Read more about it in my Top 5 Worst Dragon Ball Characters of all Time. Every Major character needs a personality. Broly has no personality. Dragon Ball is by no means the most character-driven series ever made but when you look into it, you notice that most of the villains actually have some great traits. King Piccolo was the exact opposite of Kami, Had terrorized the world long ago, had a personal feeling to him. Frieza was the most ruthless guy in the universe. Killed the Saiyans, Was the reason Goku went Super Saiyan. And in the grand schemes of things, he was the whole reason why Dragon Ball even exist. Cell wanted perfection and was willing to go to every length of it. He started off as a scary guy and went from a secondary thought to the androids, to the main villain of the time. Buu had lots of different personalities. Became the reason for some of the most badass characters and moments throughout the series. Buu evolved from a childlike powerhouse to demonic presence to an overpowered strategic entity to a plain ruthless kid. Broly, on the other hand, had nothing. Instead, he suffered from character destruction. 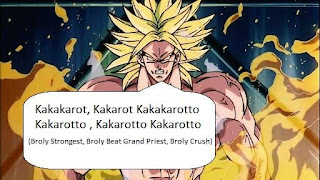 In the first movie, he was at least able to speak, in the second one, he was literally saying Kakarot except for one instant near the end of the movie. That is it, No character evolution whatsoever. 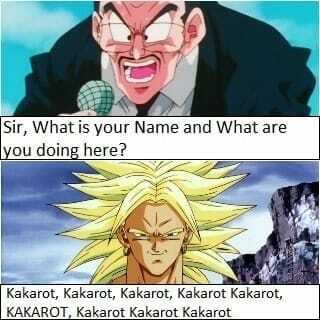 If anything He feels like a Pokemon, constantly saying Kakarot. A fanbase is an integral part of a character. 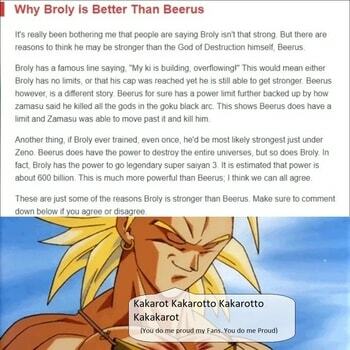 Broly has cancerous fans. The fact that his fans think he can beat a God of Destruction is baffling. Broly in his 2nd movie was unable to beat Goten, Trunk, Gohan, and imagination Goku. Goten, Trunks, Krillin, and Water defeated Bio broly. WATER!!! Why fans overhype him is beyond my knowledge. But they continue to lowball everyone else. Even those who have beaten him or are downright better than him. For example, Kale. Kale went from being a female Broly to a completely different character. She could also speak full sentences as well. But Fans still think Broly is better. Yes. In all honesty, he is. Kale is a much better replacement for Broly. She at least grew as a character rather than being a one-word pony. Everything is to the extreme With Broly. Still, don't know why tho? The fans simple response is, "He beat everyone." Pretty much every Villain, including Pilaf did. Some even did it worse than how Broly did. 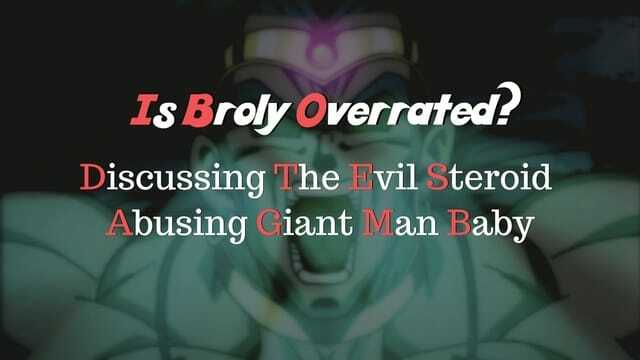 Yes is the answer to the question, Broly is pretty much the very definition of an overrated character. And with every new appearance he got, he became more idiotic than before. So if you still ask the question above, then read through this article and be sure to check out my other List Top 5 Worst Dragon Ball Characters of all Time or My Top 5 worst Dragon Ball Movies of all Time. You can also subscribe to My Youtube Channel for Awesome Dragon Ball Videos. Holy $#it is he overrated.